Roku has started rolling out a new ad-supported movie channel that’s free for any Roku owners with internet access. Owners don’t even need to be logged-in to view the channel that is currently offering feature films such as Ali, Legally Blonde, The Karate Kid, and Zookeeper. Like traditional television formats the content will be interrupted by commercials, but Roku says the breaks will only account for about half the amount of time per hour taken by linear TV adverts. Roku has deals in place to stream titles from studios such as Lionsgate, Metro-Goldwyn-Mayer (MGM), Sony Pictures Entertainment and Warner Bros.
Roku will also help channel publishers including American Classics, Fandor, FilmRise, Nosey, OVGuide, Popcornflix, Vidmark, and YuYu by promoting their content on The Roku Channel. 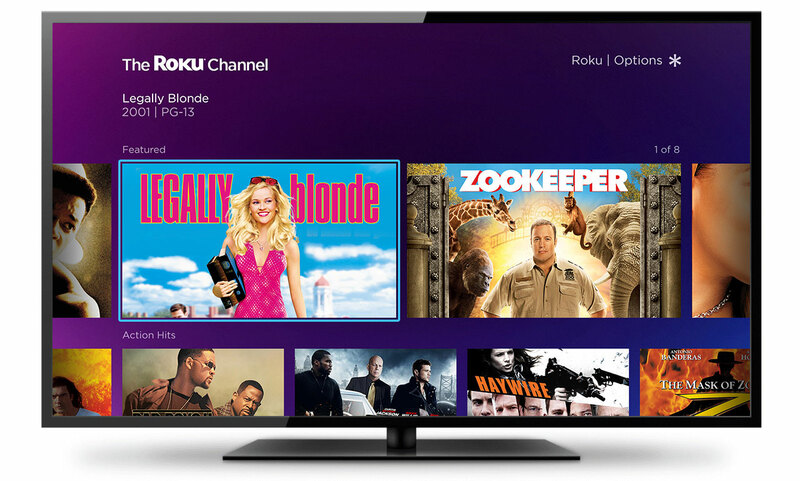 “With The Roku Channel, we’re responding to consumer demand and helping content publishers deliver content through a new experience that makes finding free entertainment easy for our customers,” said Rob Holmes, Vice President of Programming at Roku. The new channel will be rolling out within the coming weeks. Roku owners are able to add the channel through the Roku Channel Store free of charge. In other Roku news, Ovation NOW, the network’s first TV Everywhere on-demand app channel, launched yesterday for the Roku Platform. Roku players, branded simply as Roku, are a series of digital media players manufactured by Roku, Inc. Roku partners provide over-the-top content in the form of channels. The name comes from the Japanese word 六 meaning “six” and was named so because it was the sixth company that Anthony Wood started. Roku Activation Code is the most ideal approach to ask any question identified with Entertainment. It gives a great deal of station and motion pictures free of expense. On the off chance that you have any settled inquiry at that point contact bolster client care.